Dogs suffer from bad odor just like us humans and washing them each time they get smelly from rolling round in mud or running around can be time consuming. However, investing into a quality dog cologne can help mask the smell and are easy to apply. The best dog cologne is the Bodhi Dog Natural Cologne, which is vet and groomer approved and is available with a variety of scents. You will want to ensure that the dog cologne not only hide the bad smell but also not cause any irritation, skin burns or allergies. Therefore, be sure to check the ingredients of the cologne and choose one that is suitable for your dog. 7.3 How Long Does The Scent Last? There is a huge amount of different scents available to spray your dog and mask the bad odor. It is worth mentioning that the smell is initially fairly strong when first sprayed but it does become less present after a few minutes. Many are dog cologne sprays may be branded as colognes, which are pretty much the same product. However, if the spray you purchase is labelled as a deodorant, this may indicate that it will only breakdown and neutralize the odors. To avoid scaring your dog with the spray bottle, you will want to introduce it to them prior to spraying them with it and avoid the large bottles. Below is a list of the best dog cologne that are easy to apply, smell great and help mask the bad odor. 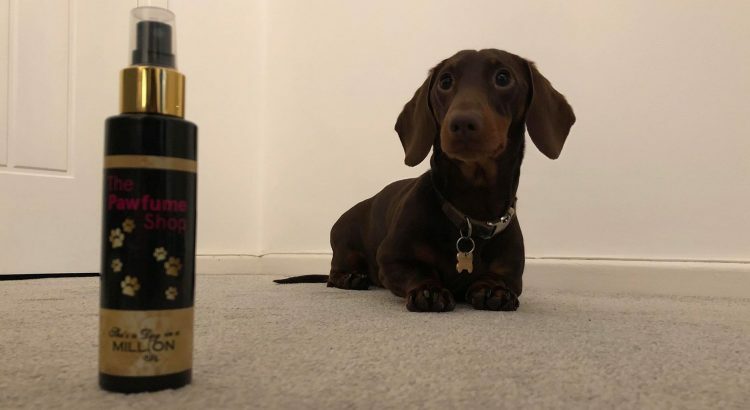 The Bodhi Dog cologne is one of the most popular available that is suitable for dogs and puppies, as well as cats, guinea pigs, rabbits and others. It is the ultimate pamper treatment for your dogs and great for keeping them smelling great between baths. Overall, it is the best dog cologne that not only leaves your dog smelling great but also contains conditioners to leave the coat feeling silky soft. The Bodhi Dog brand provide this cologne in different scents that include baby powder, lilac, orange sherbert and sugar cookie. Pawfume is a premium brand and is trusted by professional groomers around the world. Simply spraying and then brushing the product into the coat can see a range of benefits that include a fresh smell, moisturising the coat and reducing the static in your dogs coat. 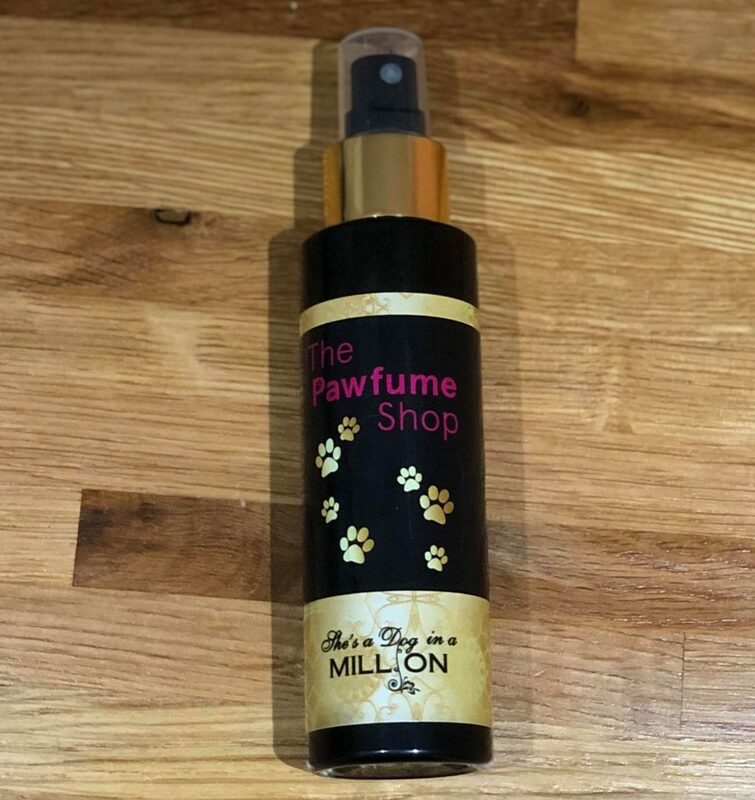 Pawfume offer this grooming spray in a blue ribbon scent, which is a fresh melon, pear and raspberry. The alternative scent option is a white lily, powdery musk and amber, which would be desirable by many. It is premium dog cologne that is similar to the Bodhi Dog and leaves your dog smelling and feeling great. 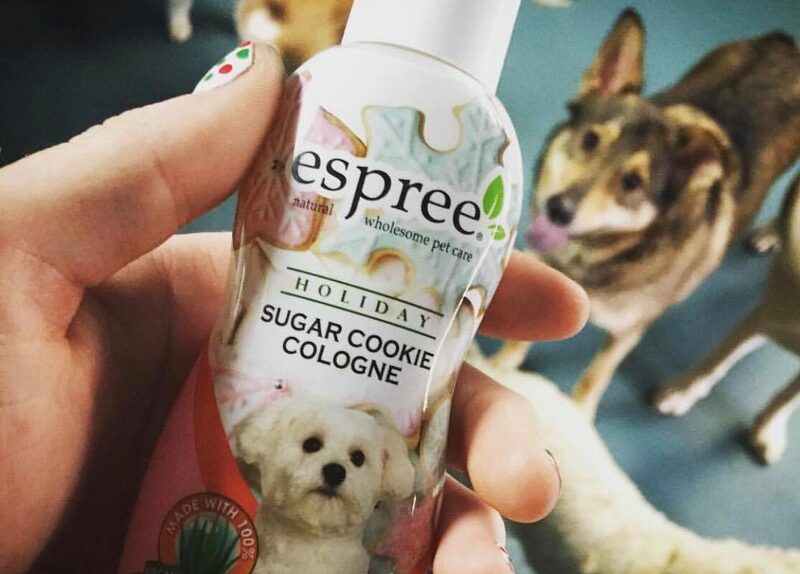 Espree is a unique dog cologne that has a calming waters scent that is made with 100% organically grown aloe vera. This means that it is a cologne that naturally neutralizes the odor, conditions the coat and prevents tangles. Overall, it is the best natural dog cologne that effectively neutrazlies bad dog odors and conditions the coat. Compared to other natural colognes, the Espree is by far the best value for money too. This Gerrard Larriett cologne is a US made and Veterinarian recommended dog cologne spray that is gentle, safe and effective for tackling bad odors from your dog. It is not an overpowering scent and will cause zero irritation for your dog. The formula includes lavender oil, chamomile oil, aloe vera, vitamin E and oat, which are all very desirable ingredients. If your dog has sensitive skin, this is the best option them that will not cause any irritation. Isle of Dogs is a cologne that can be sprayed not only on the dog but also on their bedding. This is another place that can smell bad overtime and with this spray, you are able to hide two bad odors in one. Overall, it is a great solution for tackling bad odors coming from both the dog and their bedding. The violet sea mist is very much similar to an air freshener and is not overpowering, which is great for regular usage. Many of us dog owners want to give them the best possible treatment when it comes to grooming. Dog cologne is a specialist product that is used to make your dog smell great. It can be used as a top up between shampoo sessions or after to encourage the pleasant smells to last longer. As well as sprays in between bathing sessions you can also use cologne after a long walk. It is perfect for this as it is just not possible to give them a shower all the time, simply spray on your dog and cologne should help stop the smell. Purchasing dog cologne is very handy, it is a great ‘go to’ product when you haven’t got the time to bath your dog before having guests over. Not only does the cologne make your dog smell great but it will also leave a lasting smell on fabrics around the house i.e. fabric sofa. Everyone who owns a dog wishes no danger upon them and this is the same for the colognes. It is important to read what is in the ingredients to ensure that there is nothing included that can harm your dog. Stay away from colognes that uses a lot of alcohol based ingredients. If these products are used too much they can cause your pet skin irritation. It is advised that before you use the cologne on your dog it is advised that you trial it on something beforehand. For example, you can rub your fingers over it and see if you have a reaction to it. This is due to the chemicals that are used, even natural ingredients can cause your dog to have a reaction. In addition to this, it is important to pay attention to the bottle. Dogs can find the spray noise quite scary and so ensure that you get a bottle that is easily sprayed without causing any noise or sudden movements. It is important to remember that when using dog colognes they simply mask the smell and wont clean your dog. You should still bath your dog to keep their hygiene up because the cologne is simply a tool for a quick pleasant smell. Although Dog cologne can sound great there are dangers that can occur as a result of using the product such as, getting the spray into the dogs eyes. It is important that before you use the spray read the directions of use beforehand. In addition to this dog cologne can cause irritation for your dog and thus it is vital that once you have used the cologne, you check your dogs skin regularly and watch their behaviour. If anything develops or changes in your dog seek professional advice from your dog as soon as possible and stop the use of the spray. One final note is that if you know that your dog has sensitive skin or skin allergies it is advised to stay away from sprays as it can irritate the skin even more. When applying the dog cologne, there will be an instant pleasant scent but it doesn’t always last. Most cheap colognes will struggle to last a few hours but all of our recommendations will last up to 24 hours depending upon your dogs hair. Long haired dogs will require further applications as they have a dense double coat, which will dissipate the product far quicker. It is recommended that you avoid using your own personal perfume because of the toxic ingredients. These ingredients can cause a nasty reaction on your dogs skin, which will need immediate attention to ensure they are happy once again. Although you may be able to use some of your own personal product it is really not worth it. Even the best dog cologne is relatively cheap to buy and is more importantly completely safe for your dog. The same can be said if you were to use a cologne designed for dogs. The dog alternative may cause irritation or rashes on your skin due to the ingredients designed for the dogs hair. Dog cologne is a product that many believe is not an essential, which may be true but once you have used it once, you will understand the benefits. The ability to transform yours dogs bad odor to a pleasant scent is just one of many benefits. All of our recommendations come with a variety of scents to choose from and different bottle sizes. We advise that you purchase multiple scents to test which cologne you and your dog prefer.